A balance transfer can cut £100s or £1,000s off the cost of existing borrowing. It's where you get a new credit card to pay off debts on old cards for you, so you owe the new card but at a far lower rate, meaning you're debt-free quicker. However, the top deals are getting shorter and could get worse, so best act now if you want to shift debt. This guide takes you through how to safely transfer your balance, compares the longest 0% and no-fee 0% deals and includes our unique 'eligibility calculator' to find the cards you've the best chance of being accepted for. Cut interest without new cards? Calculator: Which card is cheapest for you? Eligibility Calc – which cards can you get? Cost Calc – Which card's cheapest for you? Who's this guide for? Anyone with existing credit or store card debt, who wants to cut the interest cost. A balance transfer is where you get a new card that pays off existing debt on other credit and store cards, so you owe it instead, but at 0%. This means more of your repayments go to reducing the debt, rather than paying interest, so you clear it quicker. Most balance transfer cards will charge a small fee when you make the transfer, though there are some which charge nothing at all. Before getting a card with a fee, think carefully whether you could clear the debt quicker to avoid it. Calculate the repayment you'd need by dividing the debt by the 0% months. If you're not sure then go long for peace of mind, even if it means a higher fee. Before you do a balance transfer there are seven things you need to know. Get this wrong and it can cost you large, so please read the following (even if you only have time to read and remember the headlines it should help protect your pocket). Cheap balance transfer deals are designed to make lenders money when you fail to pay them off, or switch to a new 0% before the low rate ends. At that point, the interest rate jumps massively, to a standard 15-25% APR. What can I do if I can't pay off my debt within the 0% period? Your aim should always be to clear the amount you transferred over during the cheap period, minimising the interest. If that's not possible, your next best bet is to shift again before the intro deal ends – or even back to the original card you shifted the debt from, if that's cheaper than the go-to rate on the balance transfer card. To see the cost of paying off different cards over varying time periods, use our Which Card Is Cheapest? calculator. If I need to spend, what is the best option? If you need to spend on the card, it's best to get a separate 0% credit cards for purchases or try an all-rounder card, which has the same 0% length for balance transfers and spending, and means you only need to apply for one card. Check the 0% Balance Transfer & Spending guide. Why do I pay interest on my cash withdrawal if I've paid it off in full? Unlike purchases, you normally don't get any interest free period on cash withdrawals – even if you pay off in full at your next statement date. You usually pay interest from the date of making the cash withdrawal until it's paid off. This means you'll most probably see an interest charge on the first statement after the cash withdrawal, which is the interest charged from the date you made the cash withdrawal until the date the statement was issued. But you may also see interest charged on the following statement. There'll be a delay between your statement being drawn up, and you paying it. It may be a couple of days, it may be a couple of weeks. But you'll be charged interest on the cash withdrawal until you pay it off. Does withdrawing cash on a credit card affect my credit score? Withdrawing cash on your credit card isn't usually a good idea. Each time you do it, it's recorded on your credit record – and lenders may see it as a sign that you can't manage your finances. They often think you've withdrawn cash that way because you had no choice as you were in financial dire straits because your bank account was empty. However, withdrawing cash on your credit card isn't the end for your credit score. If all other accounts are up to date, and you're not maxed out on your cards, then – in isolation – credit card cash withdrawals aren't likely to tip the scales of future credit applications. But, if you don't need to withdraw cash on your credit cards, then it's best not to take the risk. For more on this, you can read our mini guide to withdrawing cash on a credit card, and how it affects your credit record. Usually, the only way to know if you'll be accepted is to apply, but each application marks your credit file. But our Balance Transfer Eligibility Calculator quickly shows your odds of getting almost every top balance transfer card so you can find the ones most likely to accept you, thus minimising applications. Some cards vary the 0% length according to credit score. With some, but not all cards, while you might be accepted you may not get the 0% length advertised, eg, you might get 20 months instead of 30. We note in our 'need-to-knows' for each card which cards this may happen with. Is there any way to know what deal I will get before I apply? Most cards in this guide are 0% deals, but usually require a good credit score and are for new customers only. If your score is patchy, you may still be able to slash the interest you're paying by doing a credit card shuffle. It isn't the latest poker trick but our technique using existing-customer balance transfer deals to allow you to shift debt around cards you already have (if you're not maxed out). It's complex, but it's saved people £100s, without new cards. How do I do the credit card shuffle? Our technique is based on you calling your existing card provider (or each one if you have many), and asking if it has any low-rate deals on the card(s) you already have. If so, you can start transferring debt around. If you're paying debts at 18.9% APR on one credit card, and you can get a low-rate deal for 6.9% APR on another card you have, you could save about £120 interest in a year on a £1,200 debt. List all your debts – take stock of your current situation and note down all your existing debts, including an overdraft if you have one. Our credit card shuffle worksheet should help. Ask your provider(s) to cut the rate – sometimes simply calling and asking your existing credit card company for an interest-rate reduction can work to slash the costs of existing credit, without needing a balance transfer. Shift debts around existing cards – do a balance transfer to shift your debt from the card(s) charging the most interest to the one charging the least. Start repaying, focusing as much cash as possible on the most expensive debt first. This means you should just pay the minimum repayments on all other, less expensive cards, and pay off the dearest with any spare cash. Once it's repaid, shift focus to the next-highest-rate card and continue this until you're debt-free. What if I've debts at different rates on one card? If you balance-transfer to a card at a special cheap rate, but already hold debts on it with a higher interest rate, the provider biases your repayments towards the higher rate debts first. This is good, as it means the most expensive balance disappears first (it used to be the other way around). Only focus repayments until the expensive debt's repaid – once you've done the shuffle, and you know the priority with which you should pay off each lump of debt, make sure you stop once all the expensive layer is gone. For example, Luke has £1,000 on Credit Card A, £700 of which is being charged at a low 6% interest and £300 at a nasty 25%, and £400 on Credit Card B at 18% interest. To make the most of the shuffle, he should clear the high-interest £300 from Card A first and then switch to clearing the £400 on Card B before finally paying off the remaining £700 on Card A. Move existing debts away, then back again – if you've enough spare balance on other cards, you can take advantage of any special balance transfer deal by moving all the debt off the card. Then once it has transferred over, shift it back again (along with whatever other debt you intended to move to the card). Following on from our example above, let's imagine Luke has £300 on Card A, which also has an offer of 6% interest on any balances transferred to it. Luke could shift £300 from Card A to Card B, then once it's transferred over, move the whole £700 balance on Card B back to Card A, so everything's at the lower 6% interest. This means as much debt as possible is at your new, lower rate. Do be aware of balance transfer fees which could wipe out the gain. How much could I save doing the credit card shuffle? The credit card shuffle needs careful management but if you follow the steps above, you could cut the total amount you have to repay by thousands. (1) £100 monthly repayments on each card until card fully repaid. (2) All debt now balance-transferred; to do this, it was moved off the card and returned. (3) Repaying most expensive debt prioritised while paying minimum on other cards. With normal debts of £1,500 on Card A, £500 on Card C and £5,000 on Card D, the average interest rate is 17.4%. Repay £100/month on each card and by the time you've cleared the cards in full, the interest totals £1,948. Yet shuffle as much as possible onto Card A's 6.9% existing-customer offer for new debt and the rest to Card B at four months 0% then 16.9%, and then repay the most expensive debts first. This way the average interest rate is reduced to just under 16%, meaning the interest is only £792, less than half the cost – meaning a massive saving of £1,156. Balance transfers charge a one-off fee of the amount transferred. Go for the lowest fee provided you're CERTAIN you can clear the card within its 0% length. Before getting a card with a fee, think carefully whether you could clear the debt quicker to avoid it. However, a lower fee can be trivial compared to interest if you don't clear the card or shift again before the 0% ends. A card with a 1% fee is £10 per £1,000 transferred, while a 3% fee is £30 per £1,000, only a £20 difference, which could quickly be eaten up by interest. If unsure, go long; to help, we built the Which Card Is Cheapest? calculator. 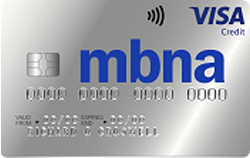 This MBNA* card offers the longest 0% period. You could be offered fewer 0% months which won't make it as good, but if you’re pre-approved through our eligibility calculator, you'll definitely get the full 36 months. Which cards can I transfer from? You can do a balance transfer from other credit or store cards, unless it's an MBNA or Nuba card. This Barclaycard* offers has a lower fee to shift your debt than the card above, so is likely a winner unless you need an extra 0% month. You could be offered fewer 0% months, though if you're pre-approved through our eligibility calculator, you'll definitely get the full 35 months. You'll be charged a fee of 3.5% of the amount transferred, then Barclaycard will credit back the difference within two working days, so the effective fee is 1.35%. You can do a balance transfer from other credit or store cards, unless it's a Barclaycard. 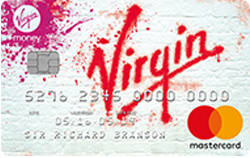 This Virgin Money* credit card offers one fewer 0% month than the longest card above. It has a higher fee, but if accepted you'll definitely get 35 months at 0%, which could make it better. If you transfer a balance after 60 days, you'll pay 20.9% interest and a 5% fee. You can do a balance transfer from other credit or store cards, unless it's a Virgin Money card. If you didn't find a card above to suit you, here are details of the next best cards. Up to 36 mths 2.5% 19.9% You can use our eligibility calculator for this card – are you pre-approved? If you can clear your debts more quickly than the 0% periods above, it's possible to slash the fee you pay, cutting the overall cost of paying off your debts. Pick the one that allows the lowest fee and the most realistic timeframe for you to pay it off. All the cards in this section have a fee of 1.5% or less. The faster you can pay your debts off, the lower the fee you'll pay. We've ordered them starting with the longest 0% and getting shorter, but if you can't pay it off as quickly as you'd need to with these low-fee cards, check the longer options above. Our Which card is cheapest? tool is a ready reckoner if you're not sure. 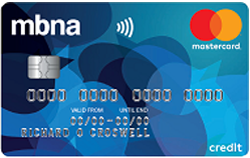 This MBNA* credit card offers a decent 0% period and comes with £25 cashback if you apply via our link and transfer at least £1,000 within 60 days. You could be offered fewer 0% months which won't make it as good, but if you're pre-approved through our eligibility calculator, you'll definitely get the full 32 months. You can do a balance transfer from other credit or store cards, unless it's from an MBNA or Nuba card. Up to 32 mths 0.56% 19.9% You can use our eligibility calculator for this card – are you pre-approved? 32 mths 0.6% 20.9% You can use our eligibility calculator for this card – are you pre-approved? 30 mths 0.55% 20.9% You can use our eligibility calculator for this card – are you pre-approved? Up to 30 mths 0.55% 19.9% You can use our eligibility calculator for this card – are you pre-approved? If you can clear your debts in 28 months, it's possible to pay NO fee at all so you could – with discipline – clear your debts for free. We've ordered our top picks from longest to shortest 0% period, but don't forget to use the eligibility calculator first to see which cards you've the best chance of getting. These cards now look more competitive than they used to, as the difference between their 0% periods and those of the longest cards with higher fees has got a lot smaller - so for most the gain from extra length hardly justifies the fee. They're a good option if you can DEFINITELY pay it off within the 0% period, or if you'll switch again when it ends. If you know you'll need longer, it's almost always better to pay a (higher) fee than it is to pay interest. Our Which card is cheapest? tool is a ready reckoner if you're not sure if these cards are for you. This Santander* card is a good no-fee option, and if you're accepted you'll definitely get the full 0% period. Unusually, you'll pay no fee if you transfer at any point within the 27mths, though you'd have less interest-free time if you waited. 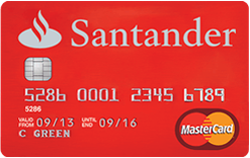 You can do a balance transfer from other credit or store cards, unless it's a Santander card. 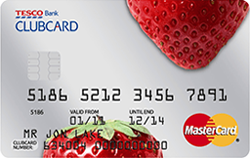 You can use our eligibility calculator for this card – are you pre-approved? You can use our eligibility calculator for this card - are you pre-approved? 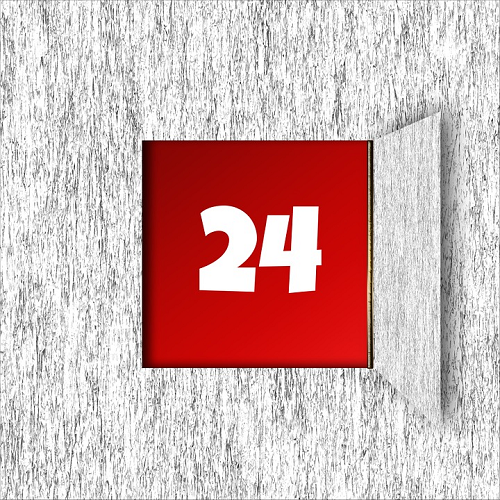 Up to 24mths None (1) 19.9% You can use our eligibility calculator for this card – are you pre-approved? This route can be simpler – get a card, shift your debt, then put the card away and pay it off, knowing it's cheap. If you can pay off a 0% card in the stated time, then do that. But if you may need longer or you prefer a stable relationship to trying to be a credit card tart by switching 0% cards every time a deal runs out, a low-rate, life-of-balance card could be for you. These cost money in interest each month, but could nevertheless work out the lower interest rate option overall as you won't ever end up on a sky-high rate as you would if you let a 0% deal lapse while still owing money on it. The current top 0% deals are impressive. Switch debt to the top 0% card and even if you end up on the APR because you can't repay in full or switch again (though you should always aim to) before the deal ends, it can still beat the best life-of-balance deals if you don't do any extra spending on it. To help find your cheapest option, use the Which Card Is Cheapest? calculator. It's all about how quickly you can pay off your debt. If you've a 0% card and you pay off a couple of months after the 0% ends, it's likely you've got your balance down so low that any interest charged will be pretty low. But, if you've not paid down your debt, then interest charges will be huge. But with low-rate life-of-balance cards, your interest is always low – but because you are paying interest, do try to pay down the debt as quickly as possible. Replicating a loan using a credit card is tough – it can be done, but you'll need to be disciplined or it won't work. Once you've done your 'loan' spending – so after you've spent out on the expensive item you need a loan for – lock the card away. Freeze it if it helps. Then set up a direct debit to repay a fixed monthly amount designed to clear the loan within a set time. Our loan calculator will help you work this out. Low-rate life-of-balance plastic used in this way is more effective and often cheaper than a personal loan. It allows the flexibility of paying off more when you can afford it. However, if you really don't have the necessary discipline, consider a cheap personal loan. Just be wary of borrowing more than you can afford. 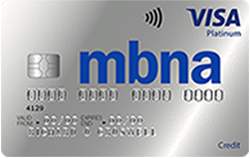 The MBNA* Low Rate card offers a low interest rate of 4.9% for four years, with a one-off fee of 0.5%, as long as you make your transfer within 60 days of account opening. After your low rate ends, you'll pay 8.9% interest a year on any debt leftover, so aim to clear it within four years. Some poorer credit scorers getting this card may be given initial interest rates of 9.9%, jumping to 11.9% at the 48 months' end, which wouldn't be as good a deal. We've put this card above the life-of-balance cards below because after crunching the numbers on balances up to £7,500 (as larger limits are rarer), we found it's cheaper, even with the fee, as long as you budget to pay off your debt within four years. Any longer, and the cards below win. What if I don't transfer within 60 days? You'll pay a higher 0.99% on any transfers, and will be charged 8.9% interest. This Tesco credit card lets you balance-transfer at 6.05% interest for the life of the balance, though poorer credit scorers could pay 12.5%. There's no fee as long as you transfer within one month (3% after), and as a bonus, there's 0% interest for the first month. If you know you'll be able to clear your debt within four years, the MBNA card above will probably be cheaper due to the lower rate, in spite of its 0.5% fee. But if you need longer, this is best. 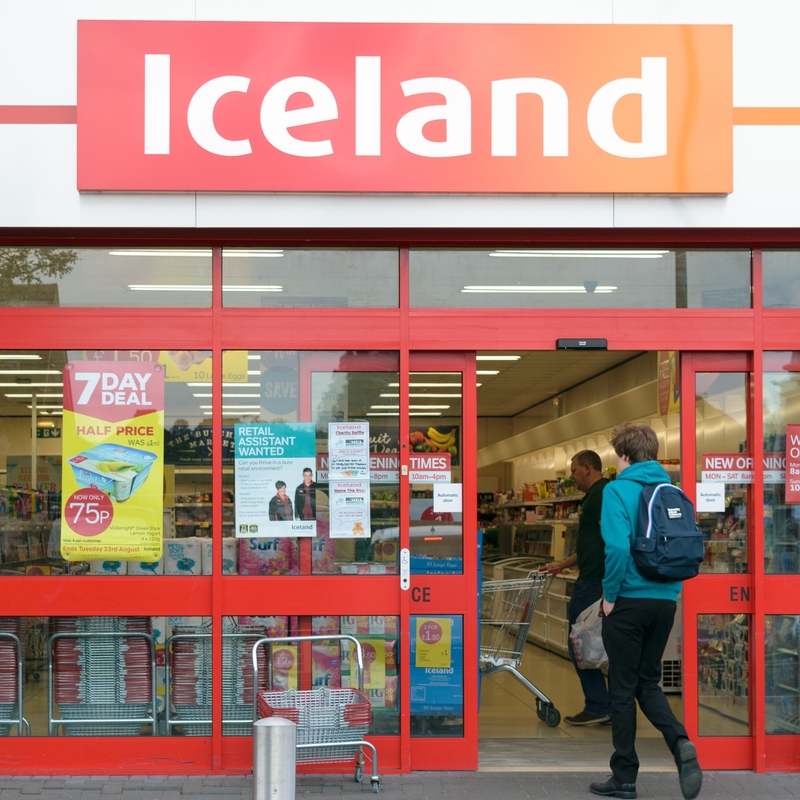 Can Tesco increase the interest rate? Tesco can increase the rate after a year but if a rate change is announced, as long as you agree not to borrow more, you have a right to reject any rise and pay off your balance at the current rate. See our Rate Jacking guide for the full rules. You can do a balance transfer from other credit or store cards, unless it's a Tesco card. What if I don't transfer within a month? You'll pay a 3% fee on any transfers. To be accepted for most of the deals in this guide, you need you to have a decent credit score – so people who need cheap credit the most often struggle to get it. The cards in this section are aimed at different people. The Barclaycard is for those with only a short credit history, while the others are designed for people with a history of defaults and county court judgments (CCJs) who are trying to rebuild their credit history. 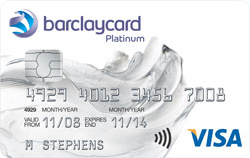 If you've debts on high-interest cards, but maybe have only had one card in the past, the Barclaycard Platinum* is aimed at you. It gives 18 months 0% as long as you transfer within 60 days – and if you're accepted you'll definitely get the full 0% period. It's easier to qualify for than other cards in this guide and used well can be a route out of debt. It's NOT for those with serious credit problems, such as recent CCJs or defaults. Will I definitely get 24.9% APR? 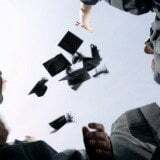 Although you won't be offered fewer months on this card, some accepted applicants with a slightly poorer credit score will be given a 29.9% interest rate, as Barclaycard operates rate-for-risk pricing. This can hit the cost of your balance transfer, especially if you find you can't pay it off within the 18-month 0% period. What should I do when the 0% ends? After the 18-month 0% is up, any debt left on the card will start to accrue interest at 24.9% or 29.9%. Either clear the card before interest hits, or, if you can't, do a balance transfer to another card. Unlike the Barclaycard above, these cards are specifically designed for people who have had past credit problems. 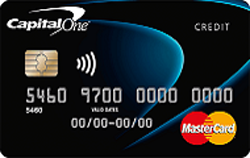 For those who've had past credit problems, Capital One's* Balance card provides a rare lifeline – even if you've had past defaults or CCJs. The 0% on balance transfers only lasts for six months, then jumps to a massive 34.9%, so treat it as an opportunity to shift debt in the short term, giving you a respite from interest which you should use to clear the card, if you can. Credit limits are low, starting between £200 and £1,500. You still have to pass a credit check and CCJs or defaults must be more than a year old. How do I use this card best? Shift as much debt as possible from the card(s) you have with the highest APR. Use the 0% period on this card to pay as much off as possible, so that when it hits 34.9% you've little debt left. After the 0% ends, if you shifted it from a card with a lower APR than this 34.9%, try to shift the remainder back on to the original card. There should be room if you've not spent on it – see the credit card shuffle. If you can't shift back, then try to pay this card off as quickly as possible. This is only a short-term deal so ensure you diarise the end date and check to see if you can transfer the balance to another card then, if you still owe cash. This will be easier if you make sure you always make the minimum repayments – if you don't, you may lose the deal anyway and have little chance of a new deal if your credit rating takes another hit. Can I spend on the card? All spending is at the huge 34.9% representative APR from day one – AVOID LIKE THE PLAGUE. 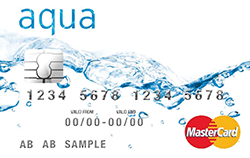 Like the Capital One card above, this Aqua* card is also designed for those with a poor credit history. It offers the same six month 0% period on balance transfers, which then jumps to a massive 34.9% (or up to 59.9% for poorer credit scorers) so treat it as an opportunity to shift debt in the short term, giving you a respite from interest which you should use to clear the card, if you can. Credit limits are low, starting between £250 and £1,200. You still have to pass a credit check, any CCJs must be more than a year old, and you must not have been registered bankrupt in the past 18mths or have bankruptcy proceedings against you. Marbles (eligibility calc / apply*), issued by the same provider as Aqua, offers a card with 0% for five months for a 3% fee (up to 69.9% APR after) – just one month less than this Aqua card. You can't get either if you've had an Aqua or Marbles card within the last year. Balance transfer calculator Which card is cheapest for you? Choosing your balance transfer weapon's more complicated than it used to be. The aim should still always be to repay within the interest-free time, or switch after that to another 0% deal if you haven't repaid. However, if you can't, don't automatically jump for a long-term deal, as it may not be cheapest. This calculator gives you an indication of which card might be cheapest, based on your debt and likely repayments. However, do note that not every card above is included within the tool. 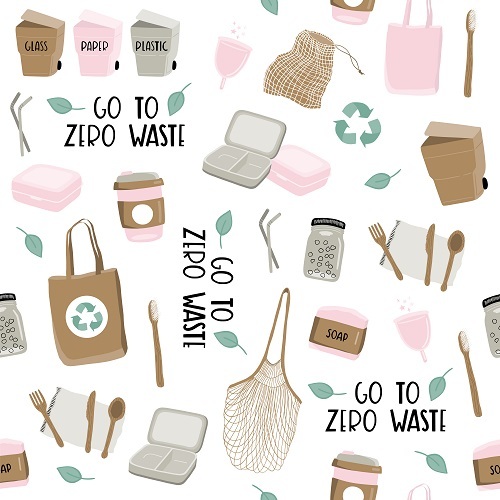 The calculator estimates total costs and interest, yet it makes some assumptions. It assumes repayments are fixed: If not, be safe and pick the min you'll repay in a month. It assumes you won't spend on the card: As this isn't usually at the 0% rate, so avoid. It assumes you pay the representative APR when the 0% ends: If your input monthly payment won't clear the debt before the end of the 0%, the tool adds interest for the remaining time. Caution, this is an ESTIMATE. See assumptions. It assumes you won't pay the representative APR: The assumption is you'll have paid off the debt or shifted it again when the cheap deal ends. Simple reminders for card tarts. How do I actually do a balance transfer? When you apply for the new card, it will usually include a 'do you want to transfer debts from other cards?' section. In this, you just put in the details of the other cards. If you're successful getting the new card, it will pay the other one off. Even if you don't do it at initial application, most cards normally allow you to do a transfer within a set period of getting the card (usually 30-90 days). No. These are totally separate things. Unlike loans, with credit cards, you choose how much you repay each month, though every card has a set minimum monthly repayment. The interest rate is the cost of the debt. For example, a rate of 20% on £1,000 means it costs you £200 per year assuming a constant balance (see the Interest Rates guide for more). This does mean in some circumstances you may shift debt to a new, cheaper card, but if it has a higher minimum payment, you'll need to pay more each month. If that may be unaffordable, ensure you check the minimum repayments before switching. How much should I pay off each month? As much as you can – even 0% debt is still debt. The more you repay, the faster the debt disappears. Especially important is that you try to pay more than the set minimum. For more on that and tips on how to do it, read the Minimum Repayments: Danger! guide. If a lower interest rate doesn't mean I pay less, why bother? The cheaper the interest rate, the more of your repayment goes towards clearing what you owe rather than servicing the interest. This means you'll be debt-free quicker and will have to pay less in total to do it. Move what you can, then if needed, simply apply for another provider's card and move the rest there. Don't leave the limit unused if it's cheaper to shift debt to it, as it's already on your credit file so you may as well use it. Will transferring a balance close my old card for me? No. This isn't like current account switching, where if you use the new seven day switching service, your old account is closed. 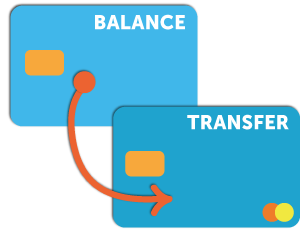 All a balance transfer does is transfer debt from one card to another. The old card stays open, and you're able to use it if you wish – although if you're trying to pay debt off, it's usually not wise to keep spending on credit. If you want to close your old card, you will have to let your old card provider know. Just not using the card or cutting it up doesn't close the account. Read full pros and cons of closing old credit card accounts in the Should I Cancel Old Cards? guide. Should I cancel my old card? If you've regularly used cards to balance-transfer in the past, it's likely you'll have held cards from many of the top-pick providers in this guide. Each has its own rules, but many card providers will automatically reject you if you already have one of their products, or have had one in the past 6 to 12 months. To help, where possible, we've listed alternative cards, in case you aren't eligible for the top picks. To improve your chances of getting the best deal, cancel any cards you have open but don't need. Read more in the Should I Cancel Old Cards? guide. How many times can I balance-transfer? As many times as you like. You can balance-transfer from card, to card, to card. The only limiting factor is whether your credit score is high enough to be accepted for new cards. Can I balance-transfer from multiple cards to one card? Yes, you can. Credit card providers let you transfer from more than one old card to a single new one – and you'll be able to get the 0% period on all balances transferred, as long as you do them all within a specific period (usually 60-90 days of taking out the card). You can often transfer more than one balance at the same time – or you could do separate transfers if your new card doesn't let you do them all at once. Just be aware that your balance transfer limit will usually be 90-95% of your total credit limit, so you wouldn't be able to transfer more than that amount in total. Can I transfer my partner's debt onto my 0% card? Before you think about doing this, be aware that the debt then becomes yours. Even if you have an agreement with your partner that he or she will make the payments, the credit has been provided to you, so it's your responsibility to pay it off. Some lenders allow you to transfer a balance from any card (as long as it's not with the same provider), it doesn't have to be in your name. If you need to transfer a balance in your name, some lenders will let you become a second cardholder on your partner's account and then allow you to shift the debt across. Can you transfer debt from others' cards? If your lender doesn't allow either of these, and you can't get a card from one that does, there is the option to do a money transfer. This is where you get a card and ask the provider to 'do a money transfer to your current account' – there are fees for doing it, and they tend to be higher than on balance transfers – eg, you can get a 25mth 0% balance transfer card with no fee, but the lowest 25mth 0% money transfer fee is 2.7%. Once you've done the money transfer, you can use the cash transferred to your account to pay off your partner's credit card – and then you've the debt on your new money transfer card to pay off. It's a convoluted method, but it's an option if you can't do a balance transfer of your partner's debt. Can I do a balance transfer from an Amex card? Cards that are issued by American Express usually have a 15 digit card number, as opposed to the usual 16. This means that it can be harder to transfer a balance from an Amex card, as some online systems aren't able to process the shorter number. In most cases, you should be able to phone up the card company you want to shift your debt to and they'll process the transfer that way. Another trick that can work sometimes is adding a '0' either to the beginning or end of the card number online when you try to transfer the balance. At what point during tarting should I apply for a new card? The best time to apply is roughly six weeks before your current 0% deal ends. This gives you enough time to apply, find out if you've got the card, and shift the debt, while your other card is still at 0%. Use the Tart Alert to remind you. Will card tarting hurt my credit score? Multiple applications, especially close together, and high outstanding debts, even at 0%, diminish your ability to get competitive credit. The most important preventative measure is to spread card applications out. Do this and most people with reasonable income and no missed payments should be able to tart without worry, though occasionally some get scored out. Read the Credit Ratings guide. What sort of balance transfer offer could I get on my existing cards? If you're looking to do a credit card shuffle, then you can try calling your existing provider and seeing what they'll offer you. Before you pick up the phone to call your credit card company you're better off doing a bit of research first. Some card companies have official set rates and others target individuals. So it's important you know how the company will deal with you before you call it. We've done the research for you and found possible existing-customer deals from your credit card provider. While these offers aren't guaranteed for everyone, and they may change over time, you can get an idea of the type of deals on offer before you make the call. 17.9% Official Response: We offer tailor-made deals for the customer. Call to get a deal. 16.9% - 19.9% Official Response: It does not offer deals. 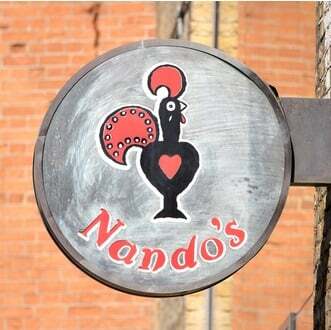 Check MoneySavers experiences & let us know if you get a deal. Official Response: It does not offer deals. Check MoneySavers experiences & let us know if you get a deal. MoneySavers' experiences: 0% on balance transfers for 27 months. 3% BT fee. 16.7% - 17.9% Official Response: Check your online account for existing-customer offers. 16.9% Official Response: We offer tailor-made deals for the customer. 16.9% - 18.9% Official Response: It does not offer deals. Check MoneySavers experiences & let us know if you get a deal. 17.9% Official Response: We offer tailor-made deals for the customer. Call to get a deal & let us know. 18.9% - 20.9% Official Response: We offer tailor-made deals for the customer. Call to get a deal or check your online account. What if my card's got a 0% spending deal? The basic answer is to always err on the side of caution. However, if a card has a 0% deal for purchases and balance transfers that lasts exactly the same length of time, then it's fine to spend on. However if they're not identical, eg, 0% for purchases for 3 months and 0% on balance transfers for a year, it's best not to do it. Is the balance transfer fee interest-free as well? This depends on the specific card, and it varies. Sometimes you will pay interest on the fee, yet it's arranged so your first or first and second monthly repayments pay all of it off, so the interest is negligible. Which cards give the best limits? This is almost impossible to answer – you're credit-scored depending on that lender's wish list for a profitable customer. So it all depends on how well you fit what it wants. 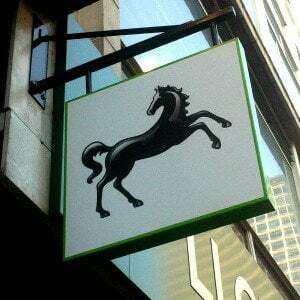 In general, though, Barclaycard has a reputation for lower credit limits and MBNA higher limits. Lenders determine their wish list for profitable customers – it's not all about risk. Read the Credit Scoring guide for a full explanation. Why did it give me a different card to the one I applied for? Some cards operate a rate for risk policy meaning that it accepts you, but gives you fewer months at 0% than advertised. Barclaycard, Lloyds, TSB, Halifax, MBNA and Bank of Scotland are the main lenders that operate this policy, but some others will give you higher APRs rather than a lower number of months. My question hasn't been answered yet, what should I do? If it's a general question about how balance transfers work, please ask it here and we'll endeavour to include it in the guide. If it's a specific question about your situation or a product, please use the question/discussion link which will take you to the forum. There, you can chat about it with other MoneySavers. This is a minimum, so card companies can charge more if they wish. Some card providers (including Barclaycard, MBNA and Santander) have applied these changes to existing card holders too. Some credit cards operate a "rate for risk" policy. This means they have a range of credit cards and you will be offered one depending on their credit score of you. In the worst cases you can actually apply for a card, then be sent a much worse, totally unsuitable card from its range, thus leaving you with a wasted search on your credit file (read more on credit scoring and how it works). This type of system should be banned, but isn't, so beware. If you're applying, first consider whether you’ve a realistic chance of being accepted.